مرا از تغييرات محصول ODROID CloudShell for XU4 SmokyBlue آگاه كن. Further information is available in the WiKi. Cloudshell provides high performance network storage! We have two different color choices. Smoky-Blue and Smoky-White. You will need (D), 4 x (M), 4 x (K), 4 x (N) for the following step. This will be the front of your CloudShell. Add a spacer(M) on each screw(K) and give them a few easy turns. 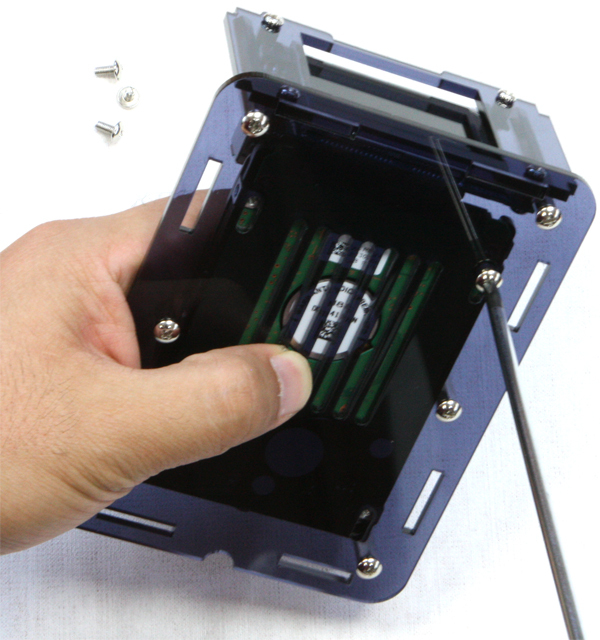 Turn the screw with a screwdriver while holding the hex spacer with part(C). See Step 7. The same process needs to be repeated at all four holes. The left side in the picture is the top side. The top side of the CloudShell board can be identified as the side with the narrow bezel. 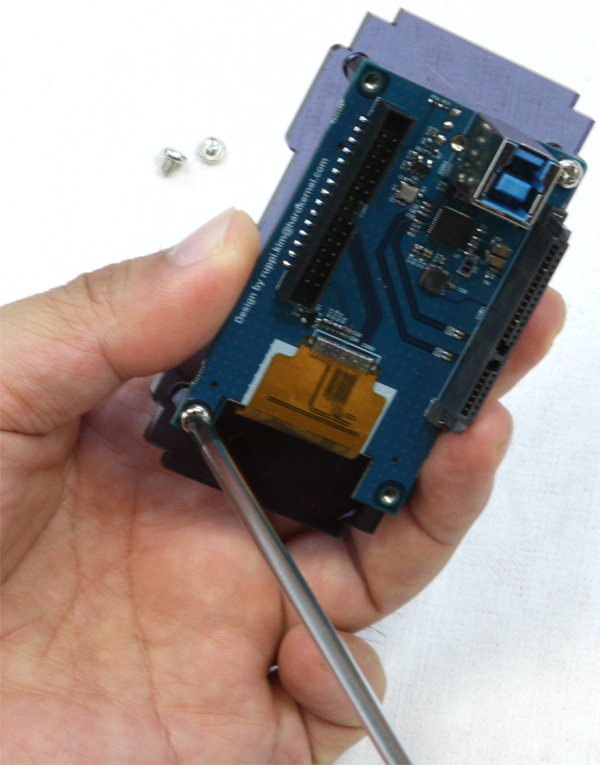 Align the CloudShell board and tighten it with a screw(N). Turn the screws gently and don't apply too much pressure. 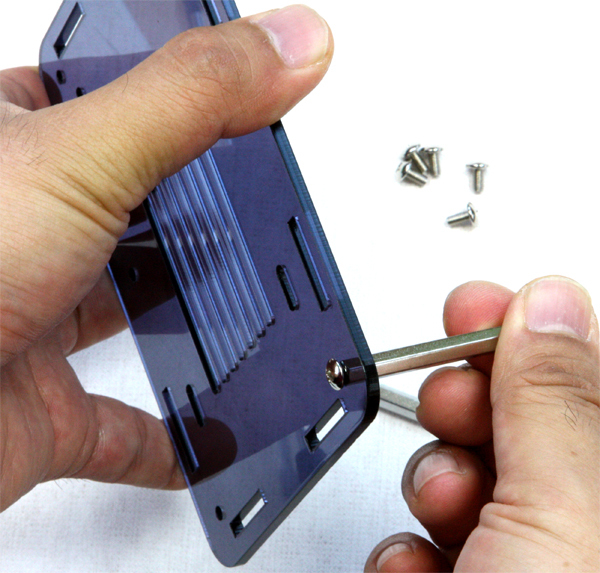 The CloudShell board is tightened on the front piece(D) using four screws. Please verify that the LCD viewing area is aligned correctly. You will need (B), 4 x (J), 2 x (L), 6 x (H) for the following step. Two spacers(L) need to be positioned at the top two holes. Tighten it with screws(H). Refer to the picture on Step 8. Hold the hex spacer with part(C). Four spacers(J) need to be positioned over the bottom holes. Check that the spacers are located correctly. Two (L) spacers should be on the top side and four (J) spacers on the bottom side. Assemble the front piece, bottom piece and HDD. 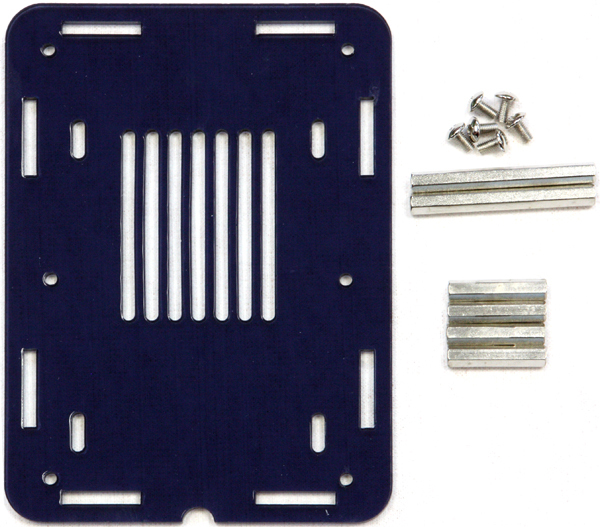 You will need the front and bottom assembled parts, 4 x screws(H) and 2.5inch HDD for the following step. The package does not include the HDD. 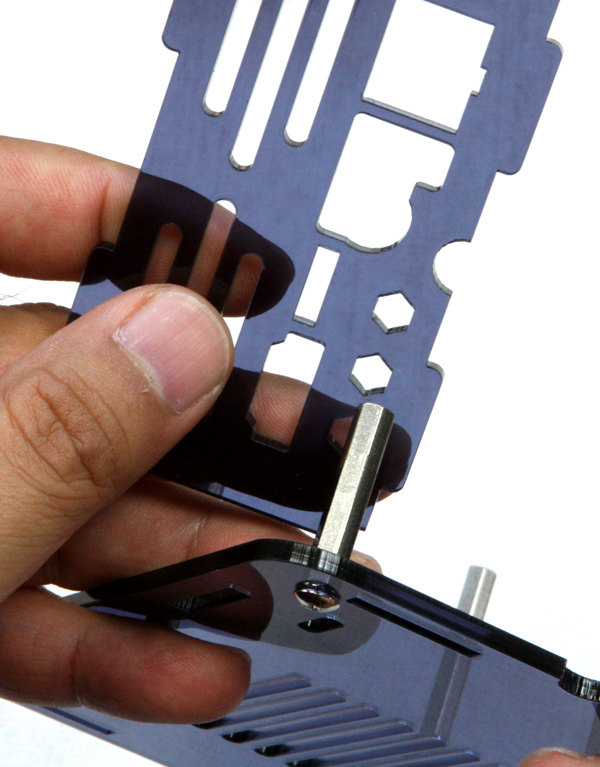 Align the CloudShell circuit board assembly with the slot on the bottom piece close to where part(L) is installed. 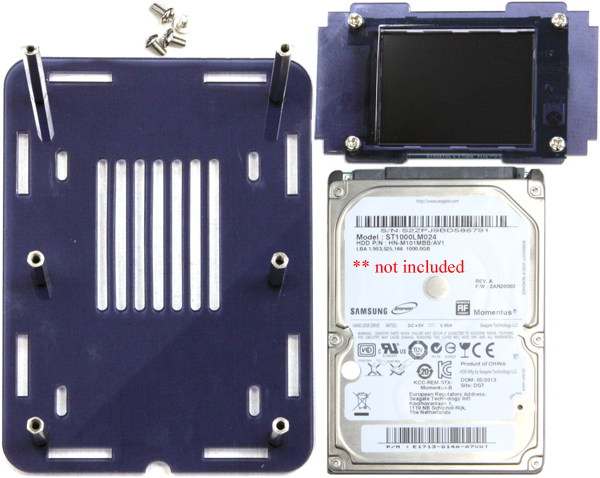 Align the 2.5inch HDD on the bottom piece and slide it into the SATA connector on the CloudShell board. 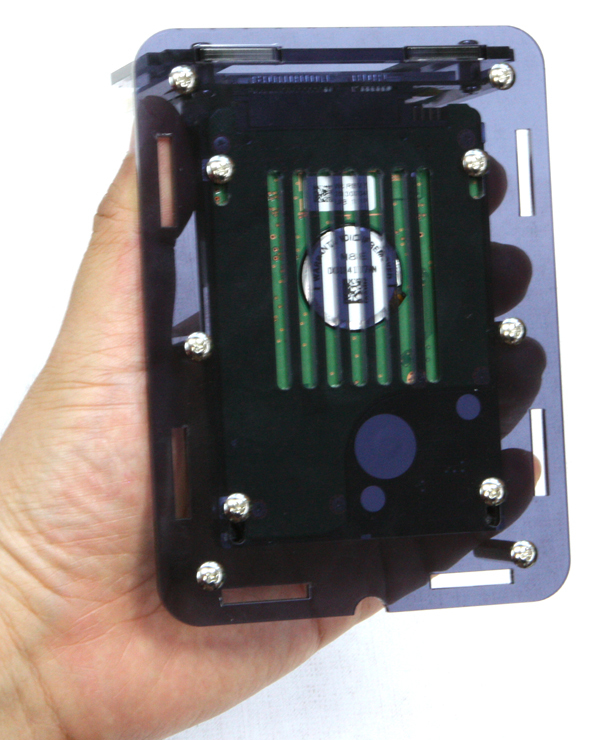 Hold the HDD and the bottom assembly together. Turn screw(H) to connect the HDD to the bottom assembly. All standard HDDs have holes for 3mm screws. 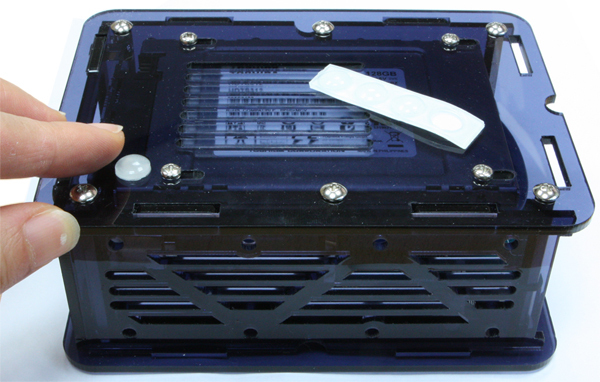 Attach the HDD with all 4 screws. These 4 screws should remain in place unless the HDD needs to be removed. 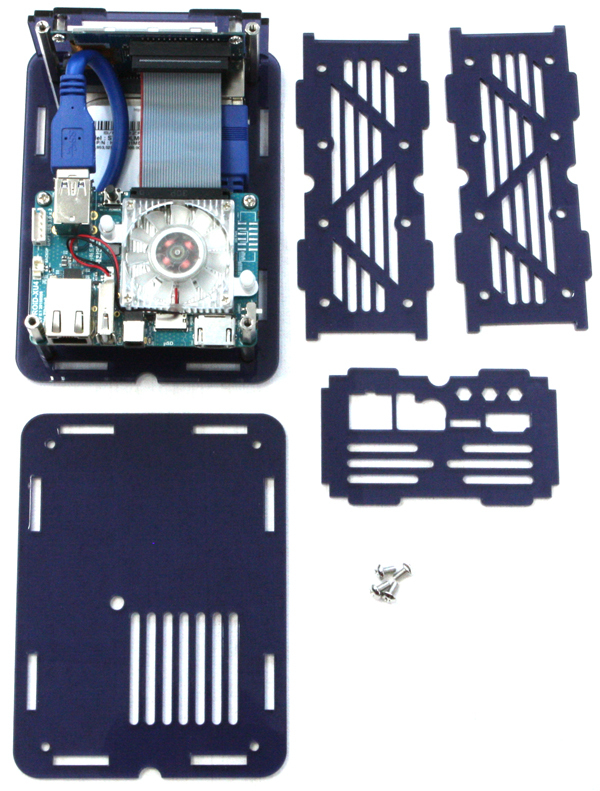 You will need the above assembled parts (P), 2 x (K), 2 x (I), (G) and ODROID-XU4. 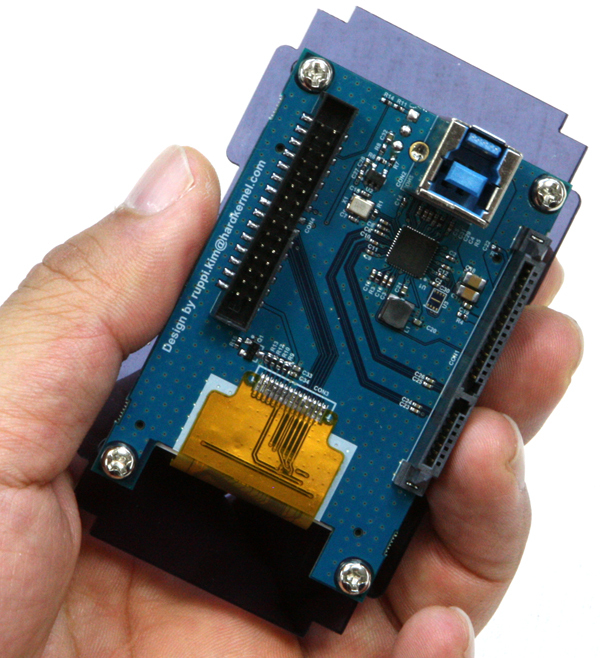 If you are using an eMMC module, make sure the OS is preinstalled and attach the eMMC Module to the ODROID-XU4 before proceeding to the next step. 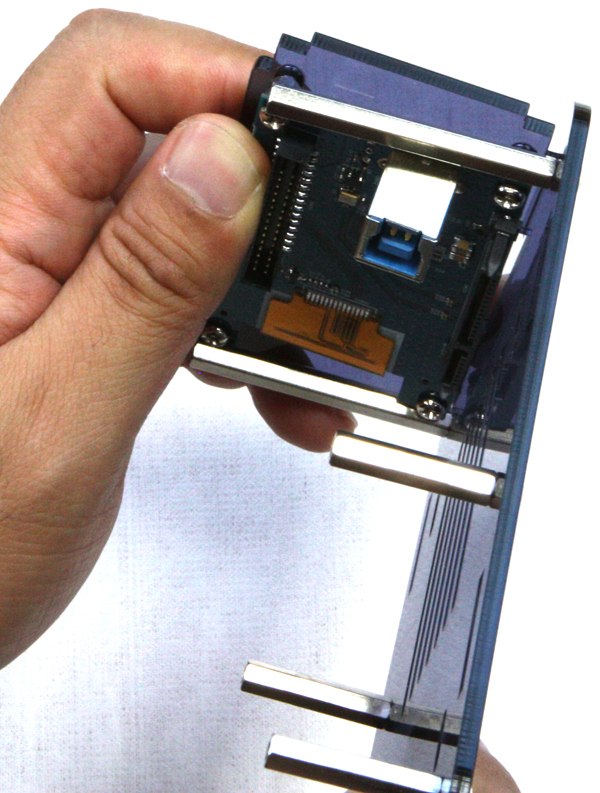 Align the mounting holes of the ODROID-XU4 over the spacers. The HDMI connector and LAN connector must be toward the outside. Add 2 x spacer(I) on the bottom side and gently give them a few easy turns. Tighten the ODROID-XU4 onto the spacers with 2 x screws (K). Screws are on the inside and spacers are on the outside. Turn the spacers using piece(C) with gentle pressure. Pre-bend the USB3.0 cable(P) to make installation easier. Plug the USB type A connector into the ODROID-XU4 and plug the USB type B connector into the CloudShell circuit board. We recommend plugging the USB type A connector into the upper slot and installing the cable gently. Alternately, you can install the cable first before installing the ODROID-XU4 board in steps 13 through 15. Make sure the USB cable is positioned appropriately. Compare your assembly with this picture. 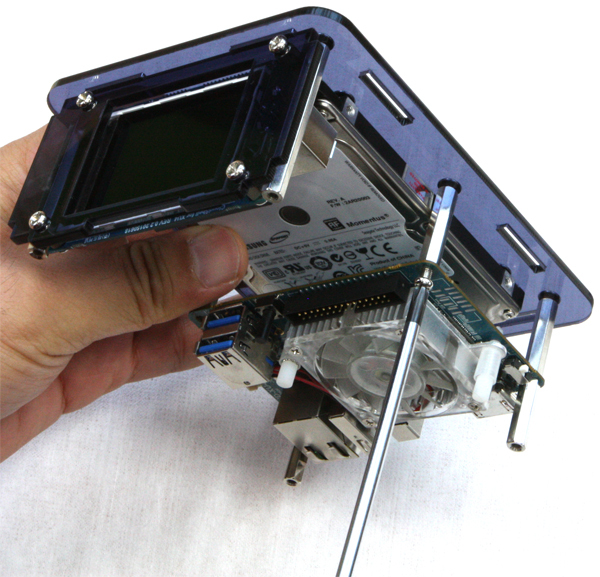 Plug the ribbon cable(G) to the 30-pin GPIO port on the ODROID-XU4. Make sure the pins are aligned - it is possible to attach the cable with one row of pins out of alignment. Plug the the other side of ribbon cable(G) to the 30pin I/O connector on the CloudShell board. 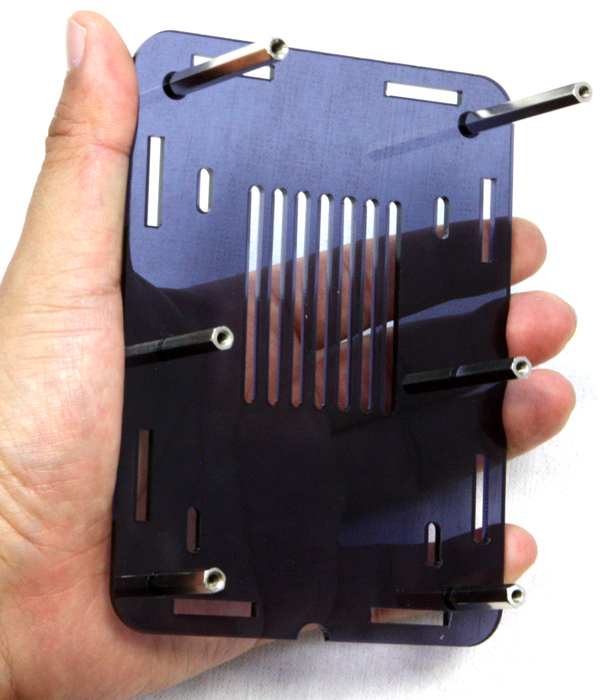 You will need the above assembled parts plus (A), (C), (E), (F) and 4 x screws(H). 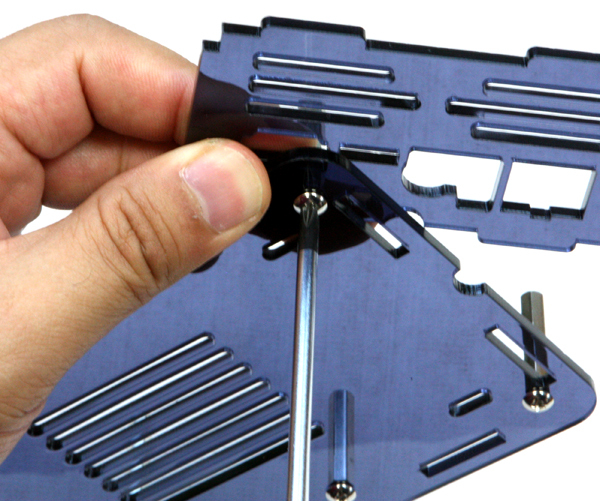 Place the side (E) or (F) into the slot on the bottom assembly. Both sides are identical so it can be flipped up/down or left/right. 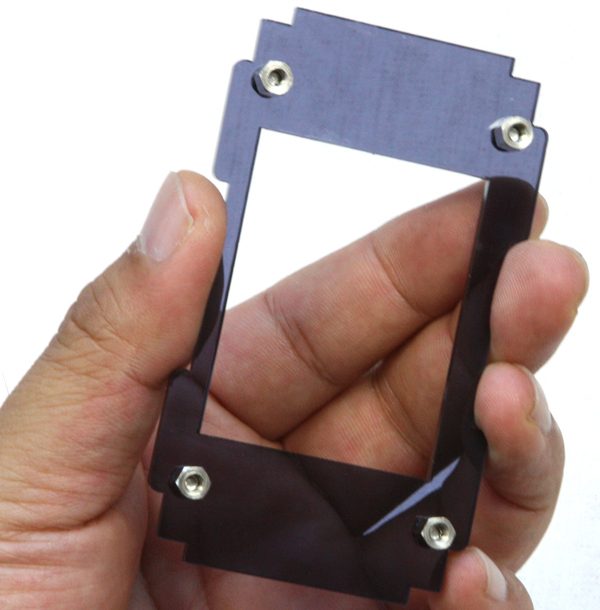 You may also install one or two 40mm fans (not included) on the side pieces. 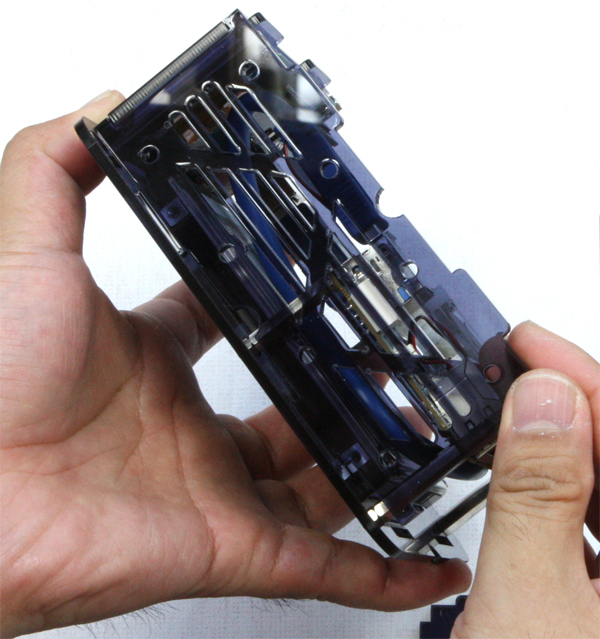 Place the other side (E) or (F) into the slot on the bottom assembly. Both sides are identical. 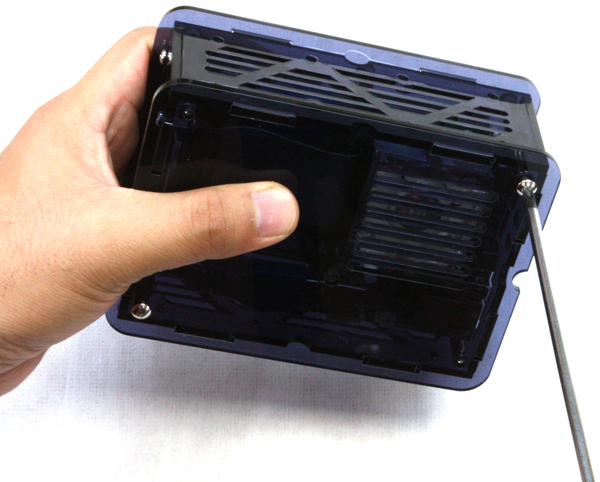 Place the back (C) into the slot on the bottom assembly making sure the openings match the ports on the ODROID-XU4. If you anticipate removing the SD card frequently, part (C) can be left off. Place the top piece (A) on the assembly. The vent hole on the top piece must be above the cooling fan on the ODRIOD-XU4. Attach the top piece with 4 x screws(H). 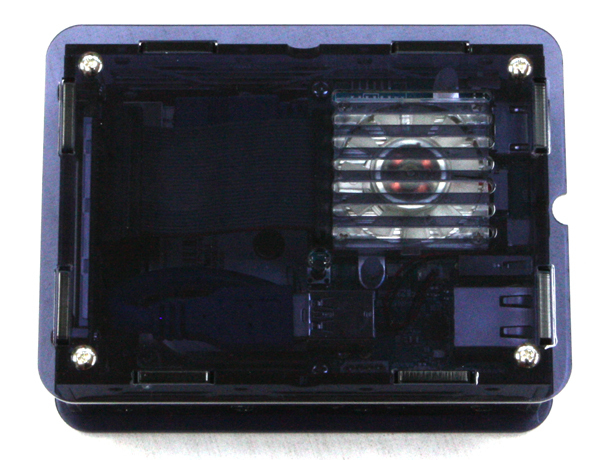 This is the assembled CloudShell from the top. 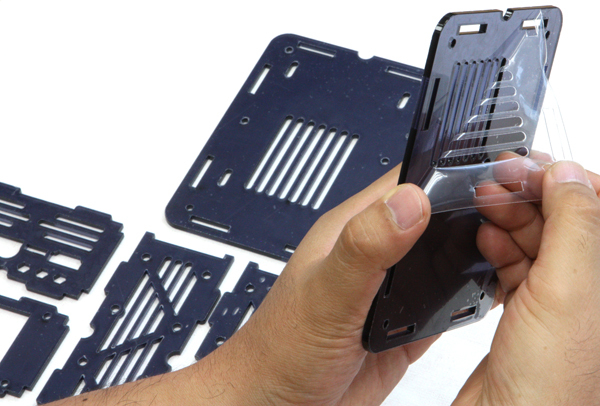 Attach the 4 x adhesive silicon feet on the bottom of the CloudShell. This will keep the screws from scratching your desk. Place them according to your preference.